In February of 2014 Dr. James Bradley was honored with the Jerry Hawk Rhea Award from the NFL for being a dedicated and outstanding NFL Team Physician. Over the years, Dr. Bradley has been distinguished with several national and local honors including, “America’s Top Doctors,” and “Top sports medicine specialist in the Pittsburgh region.” He is considered one of the top Sports Medicine doctors in the country, who is consistently recognized by his peers and patients. In 2013 Dr. Bradley was named one of the Top 19 U.S. Sports Medicine Specialists in the United States in Orthopedics This Week, published by RRY Publications LLC. He has also been included as one of the “65 Outstanding Shoulder Surgeons and Specialists” in Becker’s Orthopedic, Spine, and Pain Management Review. Professionally he is a member of the American Academy of Orthopedic Surgeons, the American Orthopedic Association, the American Shoulder and Elbow Surgeons, the Pennsylvania Orthopedic Society, the Twentieth-Century Orthopedic Association, the Arthroscopy Association of North America, and the American Orthopedic Society for Sports Medicine, of which he is also a board member. Dr. James P. Bradley was born in Washington D.C., United States. He was raised in Johnstown, Pennsylvania and is the oldest of seven children. He graduated from Bishop McCort High School in Johnstown, PA in 1971, where he played football and achieved all-state honors. He currently resides in Pittsburgh, PA. Bradley and his wife, Bea, have one daughter, Callee. He is affectionately called “Jim” among his close friends, family and peers. One of his favorite past times is golf. His father, Sam Bradley, played basketball for the University of Pittsburgh and his younger brothers Tom and Matt both played for the Nittany Lions from 1975 to 1978 and 1979 to 1981, respectively. 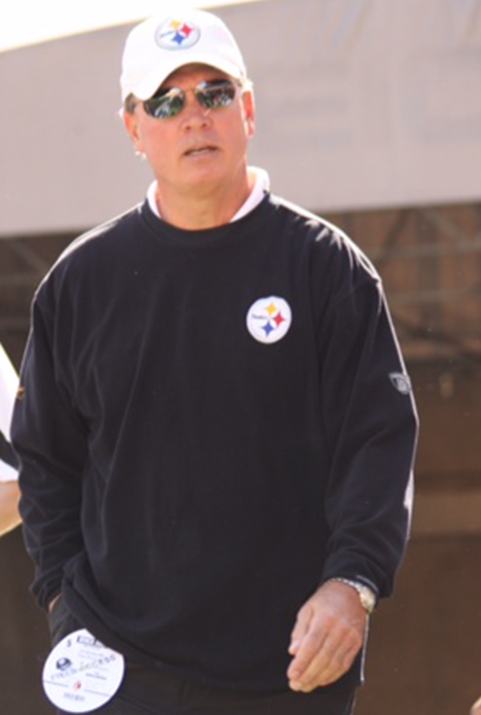 Tom was the longtime Defense Coordinator at Penn State and is currently a broadcaster for CBS Sports. Bradley’s nephew, Jim Kanuch, also played receiver at Penn State. His two sisters, Patty and Cassy were outstanding All-American track athletes at Villanova. In 2008 Dr. Bradley joined his brother, Tom Bradley and sister, Patty Bradley-Marino into the Cambria county Sports Hall of Fame.